__array__ method returns an array, or any (nested) sequence. downcasting, use the .astype(t) method. specified, in which case it will be in Fortran order (column major). If object is an array the following holds. Notes section. The default order is 'K'. the returned array will be forced to be a base-class array (default). needed to meet this requirement. not necessarily 'C' as expected. This is likely a bug. |  a low-level method (`ndarray(...)`) for instantiating an array. |  methods and attributes of an array. |      Shape of created array. |      Any object that can be interpreted as a numpy data type. |      Used to fill the array with data. |      Offset of array data in buffer. |      Strides of data in memory. |      Row-major (C-style) or column-major (Fortran-style) order. |      Transpose of the array. |      The array's elements, in memory. |      Describes the format of the elements in the array. |      'C_CONTIGUOUS', 'OWNDATA', 'WRITEABLE', etc. |      Imaginary part of the array. |      Real part of the array. |      Number of elements in the array. |      The memory use of each array element in bytes. |      i.e., ``itemsize * size``. |      The array's number of dimensions. |      Shape of the array. |      to move from element to element in memory requires jumps of 2 bytes. |      array data is actually stored. |  array : Construct an array. |  zeros : Create an array, each element of which is zero. |  dtype : Create a data-type. |     all keywords are interpreted. |  after the ``__new__`` method. |      a.__array__(|dtype) -> reference if type unchanged, copy otherwise. |      a.__array_prepare__(obj) -> Object of same type as ndarray object obj. |      a.__array_wrap__(obj) -> Object of same type as ndarray object a. |      Used if :func:`copy.copy` is called on an array. Returns a copy of the array. |      a.__deepcopy__(memo, /) -> Deep copy of array. |      Used if :func:`copy.deepcopy` is called on an array. |      Return self converted to an integer, if self is suitable for use as an index into a list. |      Return pow(self, value, mod). |      Return pow(value, self, mod). |      Set self[key] to value. |          optional pickle version. If omitted defaults to 0. |      Returns True if all elements evaluate to True. |      Refer to `numpy.all` for full documentation. |      Returns True if any of the elements of `a` evaluate to True. |      Refer to `numpy.any` for full documentation. |      Return indices of the maximum values along the given axis. |      Refer to `numpy.argmax` for full documentation. |      Return indices of the minimum values along the given axis of `a`. |      Refer to `numpy.argmin` for detailed documentation. |      Returns the indices that would partition this array. |      Refer to `numpy.argpartition` for full documentation. |      Returns the indices that would sort this array. |      Refer to `numpy.argsort` for full documentation. |      Copy of the array, cast to a specified type. |          Typecode or data-type to which the array is cast. |          Controls the memory layout order of the result. |          order the array elements appear in memory as possible. |            * 'no' means the data types should not be cast at all. |            * 'equiv' means only byte-order changes are allowed. |            * 'safe' means only casts which can preserve values are allowed. |              like float64 to float32, are allowed. |            * 'unsafe' means any data conversions may be done. |          the returned array will be forced to be a base-class array. |          given by `dtype`, `order`. |      was allowed even if the result was truncated. |          one should use ``a.real.astype(t)``. |      returning a byteswapped array, optionally swapped in-place. |          If ``True``, swap bytes in-place, default is ``False``. |          a view to self. |      Use an index array to construct a new array from a set of choices. |      Refer to `numpy.choose` for full documentation. |      Return an array whose values are limited to ``[min, max]``. |      One of max or min must be given. |      Refer to `numpy.clip` for full documentation. |      Return selected slices of this array along given axis. |      Refer to `numpy.compress` for full documentation. |      Refer to `numpy.conjugate` for full documentation. |      Return the complex conjugate, element-wise. |      Return a copy of the array. |      Return the cumulative product of the elements along the given axis. |      Refer to `numpy.cumprod` for full documentation. |      Return the cumulative sum of the elements along the given axis. |      Refer to `numpy.cumsum` for full documentation. |      a future version the read-only restriction will be removed. |      Refer to :func:`numpy.diagonal` for full documentation. |      Dot product of two arrays. |      Refer to `numpy.dot` for full documentation. |      Dump a pickle of the array to the specified file. |      The array can be read back with pickle.load or numpy.load. |          A string naming the dump file. |      Returns the pickle of the array as a string. |      pickle.loads or numpy.loads will convert the string back to an array. |      Fill the array with a scalar value. |          All elements of `a` will be assigned this value. |      Return a copy of the array collapsed into one dimension. |          'C' means to flatten in row-major (C-style) order. |          `a` in the order the elements occur in memory. |          The default is 'C'. |          A copy of the input array, flattened to one dimension. |      ravel : Return a flattened array. |      flat : A 1-D flat iterator over the array. |      Returns a field of the given array as a certain type. |      array dtype; for example an array of dtype complex128 has 16-byte elements. |      between 0 and 12 bytes. |          than that of the array itself. |          Number of bytes to skip before beginning the element view. |      Copy an element of an array to a standard Python scalar and return it. |            copied into a standard Python scalar object and returned. |            the array, specifying which element to copy and return. |      unless fields are defined, in which case a tuple is returned. |      array using Python's optimized math. |      must select a single item in the array `a`. |          If one argument: a scalar, only used in case `a` is of size 1. |          element location. It is either an int or a tuple. |      among other problems, it complicates the appearance of the code. |      look-up at each loop iteration. |      Return the maximum along a given axis. |      Refer to `numpy.amax` for full documentation. |      Returns the average of the array elements along given axis. |      Refer to `numpy.mean` for full documentation. |      Return the minimum along a given axis. |      Refer to `numpy.amin` for full documentation. |      Return the array with the same data viewed with a different byte order. |          any of 'B' or 'b' or 'biggish' are valid to specify big-endian. |      Return the indices of the elements that are non-zero. |      Refer to `numpy.nonzero` for full documentation. |      element in kth position is in the position it would be in a sorted array. |      the two partitions is undefined. |          and all equal or greater elements behind it. |          The order all elements in the partitions is undefined. |          indexed by kth of them into their sorted position at once. |          Selection algorithm. Default is 'introselect'. |          they come up in the dtype, to break ties. |      numpy.partition : Return a parititioned copy of an array. |      argpartition : Indirect partition. |      sort : Full sort. |      See ``np.partition`` for notes on the different algorithms. |      Refer to `numpy.prod` for full documentation. |      Peak to peak (maximum - minimum) value along a given axis. |      Refer to `numpy.ptp` for full documentation. |      Set ``a.flat[n] = values[n]`` for all `n` in indices. |      Refer to `numpy.put` for full documentation. |      Return a flattened array. |      Refer to `numpy.ravel` for full documentation. |      ndarray.flat : a flat iterator on the array. |      Repeat elements of an array. |      Refer to `numpy.repeat` for full documentation. |      Returns an array containing the same data with a new shape. |      Refer to `numpy.reshape` for full documentation. |      the elements of the shape parameter to be passed in as separate arguments. |      Change shape and size of array in-place. |          Shape of resized array. |          If False, reference count will not be checked. Default is True. |          and the data memory must be changed. |      resize : Return a new array with the specified shape. |      This reallocates space for the data area if necessary. |      Return `a` with each element rounded to the given number of decimals. |      Refer to `numpy.around` for full documentation. |      Find indices where elements of v should be inserted in a to maintain order. |      Put a value into a specified place in a field defined by a data-type. |      bytes into the field. |          Value to be placed in field. |          Data-type of the field in which to place `val`. |          The number of bytes into the field at which to place `val`. |      be set to True if the data is actually aligned according to the type. |          Describes whether or not `a` can be written to. |          Describes whether or not `a` is aligned properly for its type. |          Describes whether or not `a` is a copy of another "base" array. |      WRITEBACKIFCOPY, UPDATEIFCOPY, WRITEABLE, and ALIGNED. |      called, the base array will be updated with the contents of this array. |      as the full name. |      Sort an array, in-place. |          Sorting algorithm. Default is 'quicksort'. |      numpy.sort : Return a sorted copy of an array. |      argsort : Indirect sort. |      lexsort : Indirect stable sort on multiple keys. |      searchsorted : Find elements in sorted array. |      See ``sort`` for notes on the different sorting algorithms. |      Remove single-dimensional entries from the shape of `a`. |      Refer to `numpy.squeeze` for full documentation. |      Returns the standard deviation of the array elements along given axis. |      Refer to `numpy.std` for full documentation. |      Return the sum of the array elements over the given axis. |      Refer to `numpy.sum` for full documentation. |      Return a view of the array with `axis1` and `axis2` interchanged. |      Refer to `numpy.swapaxes` for full documentation. |      Return an array formed from the elements of `a` at the given indices. |      Refer to `numpy.take` for full documentation. |      Construct Python bytes containing the raw data bytes in the array. |          C, Fortran, or the same as for the original array. |          Python bytes exhibiting a copy of `a`'s raw data. |      Write array to a file as text or binary (default). |      Data is always written in 'C' order, independent of the order of `a`. |          An open file object, or a string containing a filename. |          Separator between array items for text output. |          Format string for text file output. |          it to the closest Python type, and then using "format" % item. |      This is a convenience function for quick storage of array data. |      Return the array as a (possibly nested) list. |      Return a copy of the array data as a (nested) Python list. |      Data items are converted to the nearest compatible Python type. |          The possibly nested list of array elements. |      The array may be recreated, ``a = np.array(a.tolist())``. |      This function is a compatibility alias for tobytes. Despite its name it returns bytes not strings. |      Return the sum along diagonals of the array. |      Refer to `numpy.trace` for full documentation. |      Returns a view of the array with axes transposed. |      For a 2-D array, this is the usual matrix transpose. |      ``a.transpose().shape = (i[n-1], i[n-2], ... i, i)``. |       * None or no argument: reverses the order of the axes. |         `i`-th axis becomes `a.transpose()`'s `j`-th axis. |          View of `a`, with axes suitably permuted. |      ndarray.T : Array property returning the array transposed. |      Returns the variance of the array elements, along given axis. |      Refer to `numpy.var` for full documentation. |      New view of array with the same data. |          default, None, results in the view having the same data-type as `a`. |          setting the ``type`` parameter). |          default None results in type preservation. |      reinterpretation of the bytes of memory. |      ValueError: new type not compatible with array. |      Array protocol: Python side. |      Array protocol: C-struct side. |      Base object if memory is from some other object. |      as arguments to a shared library. |          Possessing attributes data, shape, strides, etc. |      * data: A pointer to the memory area of the array as a Python integer. |        get to the next element in the array. |      * data_as(obj): Return the data pointer cast to a particular c-types object. |        type. For example: self.shape_as(ctypes.c_short). |        c-types type. For example: self.strides_as(ctypes.c_longlong). |      hold a reference to the array until ct is deleted or re-assigned. |      return an integer equal to the data attribute. |      Python buffer object pointing to the start of the array's data. |      Data-type of the array's elements. |      Information about the memory layout of the array. |          The data is in a single, C-style contiguous segment. |          The data is in a single, Fortran-style contiguous segment. |          The array owns the memory it uses or borrows it from another object. |          array may be subsequently locked while the base array remains writeable. |          array raises a RuntimeError exception. |          The data and all elements are aligned appropriately for the hardware. |          to the base array will be updated with the contents of this array. |          (Deprecated, use WRITEBACKIFCOPY) This array is a copy of some other array. |          F_CONTIGUOUS and not C_CONTIGUOUS. |          F_CONTIGUOUS or C_CONTIGUOUS (one-segment test). |          BEHAVED and F_CONTIGUOUS and not C_CONTIGUOUS. |      names are only supported in dictionary access. |      entry, or by calling `ndarray.setflags`. |      - UPDATEIFCOPY can only be set ``False``. |      - WRITEBACKIFCOPY can only be set ``False``. |      - ALIGNED can only be set ``True`` if the data is truly aligned. |        interface or is a string. |      Arrays can be both C-style and Fortran-style contiguous simultaneously. |      or the array has no elements. |      Fortran-style contiguous arrays is true. |      A 1-D iterator over the array. |      a subclass of, Python's built-in iterator object. |      flatten : Return a copy of the array collapsed into one dimension. |      The imaginary part of the array. |      Length of one array element in bytes. |      Total bytes consumed by the elements of the array. |      Number of array dimensions. |      The real part of the array. |      Tuple of array dimensions. |      fail if a copy is required. |      Tuple of bytes to step in each dimension when traversing an array. |      "ndarray.rst" file in the NumPy reference guide. (in other words, the interval including `start` but excluding `stop`). but returns an ndarray rather than a list. be consistent. It is better to use ``linspace`` for these cases. round-off affects the length of `out`. `start` must also be given. type from the other input arguments. linspace : Evenly spaced numbers with careful handling of endpoints. ogrid: Arrays of evenly spaced numbers in N-dimensions. mgrid: Grid-shaped arrays of evenly spaced numbers in N-dimensions. Refer to `numpy.reshape` for full documentation. the elements of the shape parameter to be passed in as separate arguments. Return random integers from `low` (inclusive) to `high` (exclusive). `high` is None (the default), then results are from [0, `low`). from the distribution (see above for behavior if ``high=None``). on the platform. 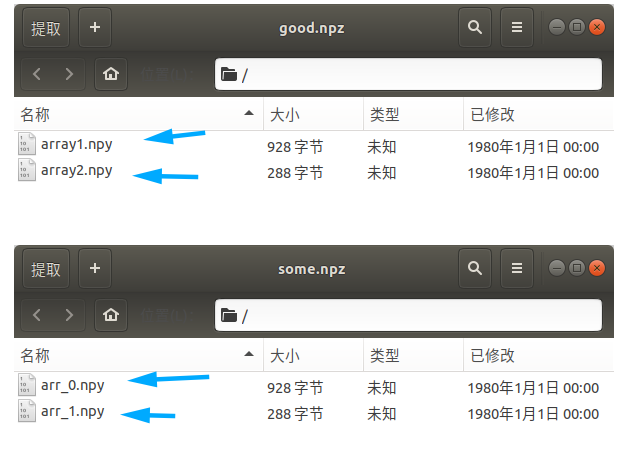 The default value is 'np.int'. distribution, or a single such random int if `size` not provided. The dimensions of the returned array, should all be positive. If no argument is given a single Python float is returned. case a single float is returned). Return a sample (or samples) from the "standard normal" distribution. tuple as the first argument, use `numpy.random.standard_normal` instead. The dimensions of the returned array, should be all positive. its characteristic shape (see the example below). Mean ("centre") of the distribution. Standard deviation (spread or "width") of the distribution. a single value is returned if ``loc`` and ``scale`` are both scalars. Otherwise, ``np.broadcast(loc, scale).size`` samples are drawn. Drawn samples from the parameterized normal distribution. the mean, rather than those far away. Save an array to a binary file in NumPy ``.npy`` format. Python 2, so that the pickle data stream is readable with Python 2. Save several arrays into a single file in uncompressed ``.npz`` format. file will match the keyword names. save : Save a single array to a binary file in NumPy format. savetxt : Save an array to a file as plain text. Using `savez` with \*args, the arrays are saved with default names. Using `savez` with \**kwds, the arrays are saved with the keyword names. corresponding to `axis` (the first, by default). The axis along which the arrays will be joined. Default is 0.
ma.concatenate : Concatenate function that preserves input masks. split : Split array into a list of multiple sub-arrays of equal size. dsplit : Split array into multiple sub-arrays along the 3rd axis (depth). stack : Stack a sequence of arrays along a new axis. `block` provide more general stacking and concatenation operations. except 1-D arrays which can be any length. stack : Join a sequence of arrays along a new axis. vstack : Stack arrays in sequence vertically (row wise). dstack : Stack arrays in sequence depth wise (along third axis). concatenate : Join a sequence of arrays along an existing axis. hsplit : Split array along second axis. block : Assemble arrays from blocks. The arrays must have the same shape along all but the first axis. 1-D arrays must have the same length. hstack : Stack arrays in sequence horizontally (column wise). dstack : Stack arrays in sequence depth wise (along third dimension). vsplit : Split array into a list of multiple sub-arrays vertically. an empty sub-array is returned correspondingly. a split does not result in equal division. an equal division cannot be made. hsplit : Split array into multiple sub-arrays horizontally (column-wise). vsplit : Split array into multiple sub-arrays vertically (row wise).